After a gripping hour-long hearing, the Supreme Court bench of justices R K Agrawal and A M Sapre reserved its orders for April 9, Monday on a petition filed by West Bengal BJP which complained that ruling TMC activists were not allowing its candidates to file nominations for upcoming Panchayat polls and sought extension of the last date for filing nominations from April 9. BJP also sought direction to the state election commission to provide nomination papers online saying the party’s prospective candidates were even being denied nomination papers. At the outset the bench refused to hear the petition asking the petitioners to approach the Calcutta High Court. 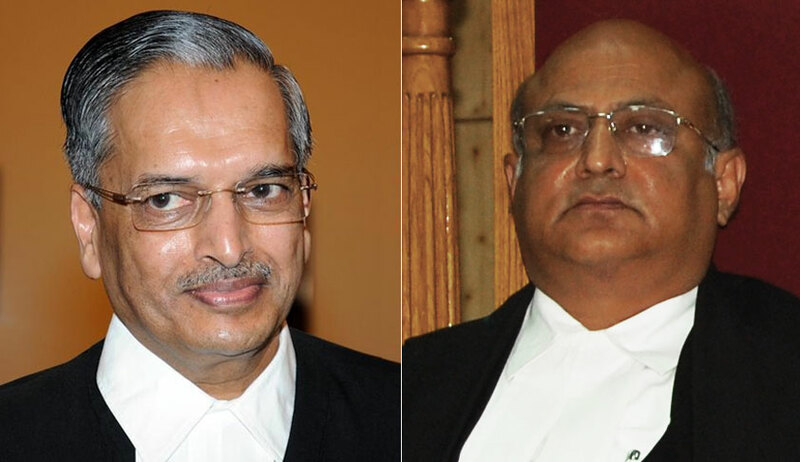 But Senior Advocate and former AG Mukul Rohatgi appearing for the BJP told the bench they approached SC directly owing to strike in the HC and lawyers appearing there were being “manhandled”. Justice R K Agrawal: Why don’t you go to Calcutta High Court? Please go to Calcutta High Court. Why did you come here? Mukul Rohatgi (For West Bengal BJP) : There is lawyers strike. Lawyers who are appearing there are being manhandled and this is an extraordinary situation. TMC workers with the full backing of the West Bengal state government and using the brutal force of the state machinery, as they are the ruling party, they are not allowing the BJP candidates to file nominations. This list will speak volumes (shows a list of constituencies like Birbhum, Bardhaman etc ). Look at the number of TMC nominations filed and compare it with the BJP. Our workers are being killed. Rohatgi: We came here as there are impediments in the High Court. There is trouble everywhere in the state. Democracy is being murdered. BJP people are not able to get nomination papers. Then how will they file. Please extend the date for filing nominations. Also direct deployment of central paramilitary forces to maintain law and order for smooth conduct of the polls. Justice Sapre: But why is there a strike in High Court? Anyways one related petition is being heard there right ? Go and submit your grievances there. They are almost same to same. Rohatgi: No the issues are different. There one person is arguing he is a petitioner in person. There the petition says cancel the polls. But here we are only saying extend the date for filing nomination, create a conducive atmosphere by deploying paramilitary force. If the state cannot provide security it is the job of the union. What we want is please allow us to file the nominations online and extend the last date by two or three days. At present it is Monday. Senior Advocate Abhishek Manu Singhvi (For West Bengal government) : Each allegation of the petitioners are false. The whole intention is to get a splash in the newspapers and TV channels that TMC is not allowing BJP to file nominations and that Supreme Court has issued notice and nothing else. Look at their petition. Who has not been allowed to file nomination? No specific instance has been pointed out. No specificity. What kind of petition is this? All sweeping allegations. Blanket orders sought. This is just not done. In fact look at the list. In most places, BJP has filed more nominations than TMC candidates. Once the election process has started, the courts cannot interfere. That is the law. Election petitions can, of course, be entertained after the polls. They are saying there is widespread trouble in the state. The question is who is creating trouble, fomenting trouble. They themselves are creating trouble and asking for paramilitary forces. Even otherwise once the poll process starts, courts generally do not issue a mandamus to election officer. They could have gone to State Election commission or the High Court. They did not. They directly parachute to the Supreme Court. They say not allowing to file nomination. The chart I showed gives the complete answer. Justice Agrawal: OK. Arguments heard. Orders reserved for Monday.